This pajama is just too cute. 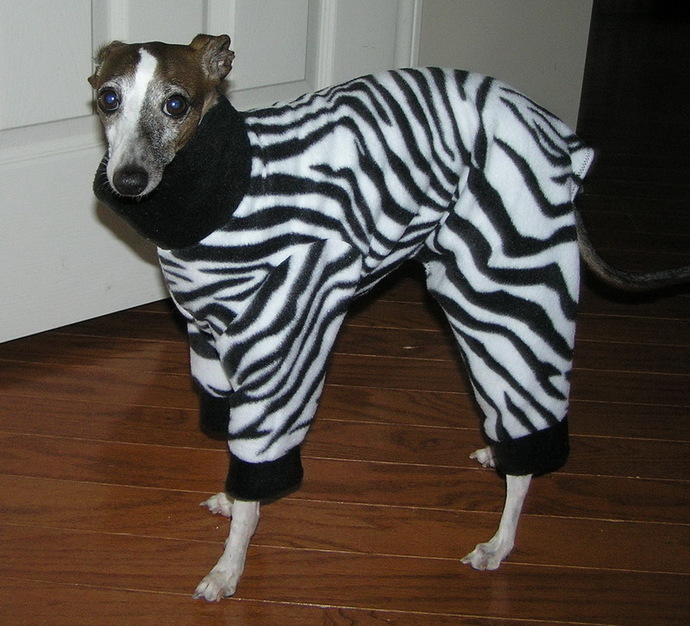 Made from a very soft anti-pill fleece, the Zebra pajama will keep your dog warm going for a daily stroll or just sitting in front of the fireplace. It is lined with black trim and neck. 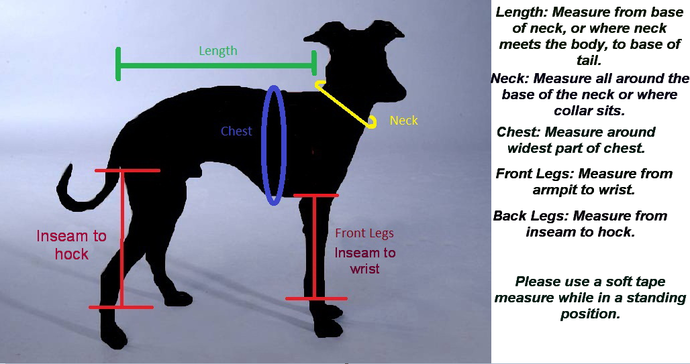 Large: Neck: "13", Chest: 22", Length from base of neck to base of tail: 17"
Extra Large: 14", Chest: 24", Length from base of neck to base of tail 19"